One easy way to save money and maintain comfort in the property is to address drafts. According to the U.S. Department of Energy, $200 to $400 of annual energy expenses could be lost to drafts, air leaks or outdated heating and cooling systems. Consumers should seal any air leaks and insulate old doors and windows to save money this winter. A larger project that can potentially provide a strong return on investment is adding fiberglass attic insulation or improving existing insulation. Uninsulated homes lose a quarter of their heat through the roof, according to the Energy Saving Trust. Other improvements consumers might consider include protection for landscaping, decks and roofs, which can potentially add to property values as well. 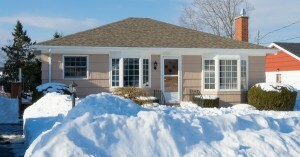 Homeowners should consult with a qualified, competent appraiser before making decisions on which winterization projects make the most sense for their home. Insulate pipes to lower hot water costs. Now is the time to take steps that could improve resale value, save money and increase comfort during the cold winter months.